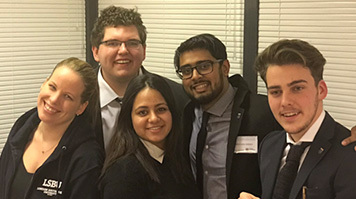 The course was developed by the University's School of Business School in collaboration with the London Housing Foundation (LHF), who are sponsoring the course. LHF may consider sponsoring applicants from relevant areas of the public sector as well as the third/voluntary sector. The course is primarily designed for appropriately experience and qualified staff in the homelessness and allied sectors. The course also enables you to make a study visit to a similar sector in another country through the support of the London Housing Foundation. The course will run throughout 2017 on a part-time basis. There'll be an initial residential from Tuesday 24 to Thursday 26 January followed by a combination of weekly attendance (9 weeks) each Thursday afternoon and three two-day blocks (Thursdays and Fridays) during each Semester. This module covers different concepts of leadership and management focusing on what might be considered the more appropriate styles in the homelessness and housing context. There'll be opportunities to evaluate your own individual and organisational competences and for skill development using in-depth reflections. Element 2 (60% weighting) – an individual written assignment applying relevant theoretical concepts to your organisation. This module provides you with a knowledge of basic concepts and practices in accounting, an understanding of accounting requirements in third sector organisations and an appreciation of good practice in financial reporting. 100% coursework based on a case study. This module explores theories, techniques and knowledge in the area of Organisational Behaviour and People Management relevant to homelessness and housing organisations. Element 2: (20% weighting) individual presentation on recommendations from element 1. This module enables managers, of third sector and other civil society organisations, to reflect on and understand the role of governance in ensuring accountability within their organisations. 100% coursework: individual presentation on a governance scenario using digital story book. The weighted pass mark across the modules 50%. Where there are multiple assessments, a 40% minimum pass on each element is a necessary condition of an overall pass. It's necessary to pass all the modules to be awarded the Postgraduate Certificate. 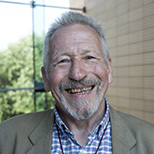 An expert in fundraising and philanthropy, Peter has 20 years' experience as a successful fundraising manager and fundraising director in a variety of charities including: the YMCA, Arthritis Care, Leonard Cheshire Disability, Brooke Hospital and Crisis UK. 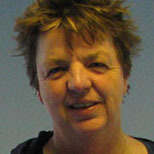 Dr Jan Rae is a Senior Lecturer in Human Resource Management. She is also Course Director for the part-time Postgraduate Diploma and Master’s programmes in Human Resource Management and Human Resource Development. Relevant senior sector experience , recognised as enabling the applicant to join a course at this level. The relevance of an applicant’s experience would normally be discussed at interview. 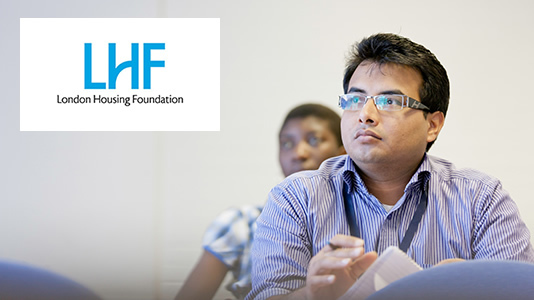 The London Housing Foundation (LHF) pays a flat fee to LSBU for each cohort. Applicants should therefore approach the LHF to enquire about possible sponsorship. LHF would expect each employing organisation to reimburse them for 50% of the cost of each participant. There are no traditional course fees for individual applicants to pay.